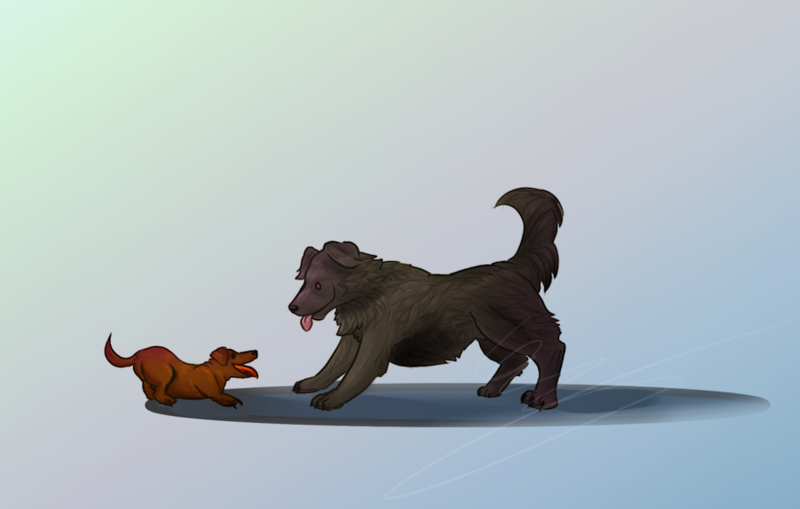 One of our black husky's oldest friends is a fat little weiner dog. he has a lot of friends. I'd like to write a children's book on it one day.